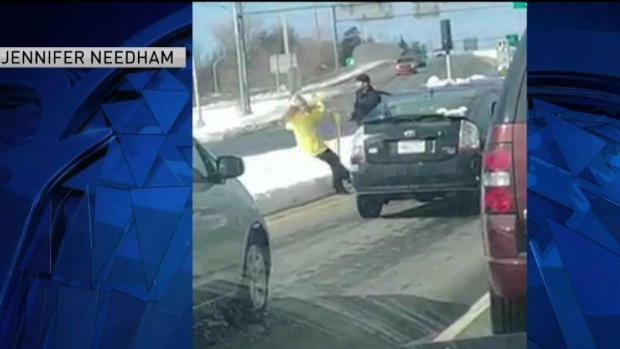 Police are investigating a case of road rage that resulted in a physical confrontation in Nashua, New Hampshire. The road rage incident played out in the middle of busy Amherst Street on Sunday. A driver can be seen on video walking up to the car in front of hers, and as she arrives at his door, a man gets out and shoves her to the ground. The disturbing scene was captured on cell phone by Jennifer Needham who was riding in a car with her boyfriend and three children. The disturbing scene was captured on cell phone by Jennifer Needham who was riding in a car with her boyfriend and three children at the time of the incident. What you don’t see, according to Needham, is moments before the encounter, the man had gotten out of his car and was at the woman’s window. “He’s wailing his hands around, he looks upset, so at that point I’m like ok, I’ll get my phone out to see if I can grab anything good," Needham said. 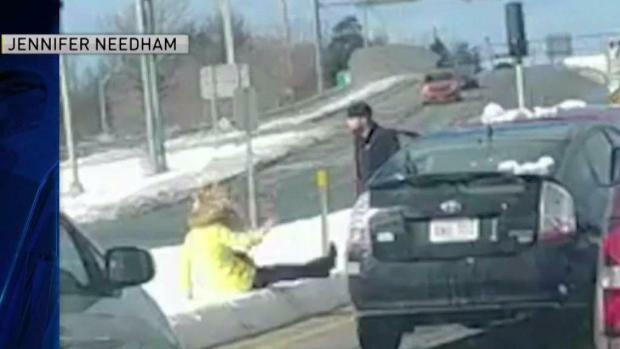 Needham says she heard some honking just before the two drivers started arguing, but didn’t know what exactly led to the fight. “I was just happy that it just snowed because if she smacked her head or anything worse were to happen to her to live with that is an awful feeling,” said Needham. Needham submitted her video to Nashua police, who tell us they are investigating the incident. 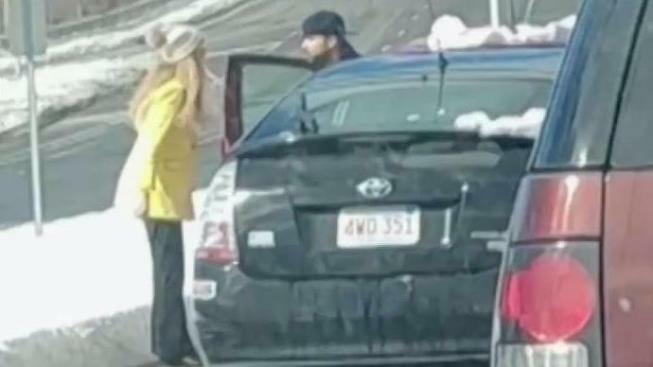 A road rage incident was caught on camera in Nashua, New Hampshire. Despite the violent shove, the woman was not hurt according to police. Police tell us they have questioned the two drivers involved in this incident. They don’t know if anyone will face any charges at this point.